EC1588 is an Alexander bodied Leyland Olympian which was new to Kowloon Motor Bus, Hong Kong as fleetnumber S3BL333. It was then exported to the UK and was operated by Big Bus Company, London on sightseeing tours and it’s UK registration was E360NUV. 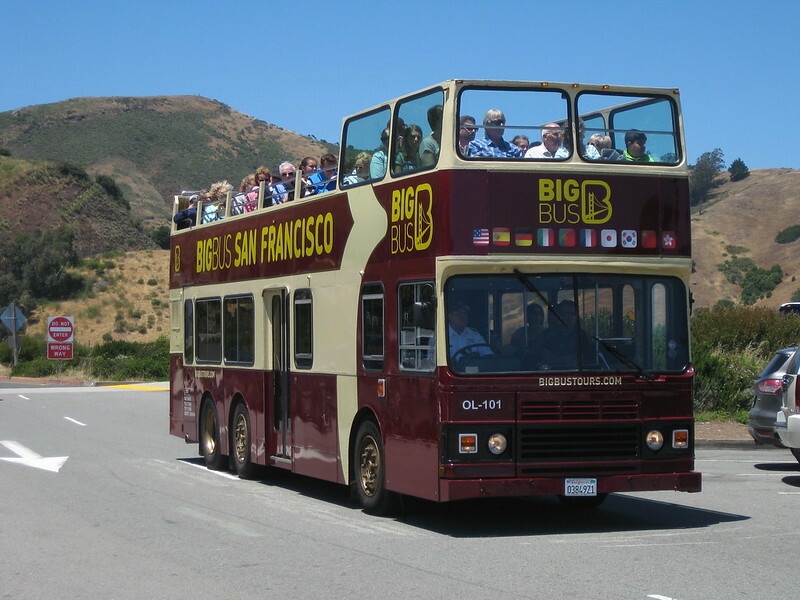 It’s now with Big Bus San Francisco as fleetnumber OL101 and it now has California licence plate number 03849Z1. It’s seen arriving at the Golden Gate Bridge Vista Point having just crossed the famous Golden Gate bridge. The door conversion on these buses is very neat; they have moved the exit door from the left hand side to the right hand side to enable passenger access. Image published by megabus13601 on 2016-07-10 11:06:10 and used under Creative Commons license.